We have two designs available for men, the reoccurring I Love WCS style and the new 2019 design that celebrates our 10 year anniversary. All shirts are $25.00 each. Limited stock is available to order online and for purchase at Swingsation. We have two designs available for women, the reoccurring I Love WCS style and the new 2019 design that celebrates our 10 year anniversary. All shirts are $25.00 each. Limited stock is available to order online and for purchase at Swingsation. We have a classy soft shell jacket with Swingsation on the back and Raw Connection logo on the front with your name. All jackets are $85.00 each and must be pre-ordered by 1st April 2019. We’ll be putting together a digital video of the entire event to download! The video will include short summaries of each workshop, performances, competition footage and highlights. Please note that no personal recordings of any competition finals or performances will be allowed during the weekend but we will allow you to video the workshop summary and competition heat. 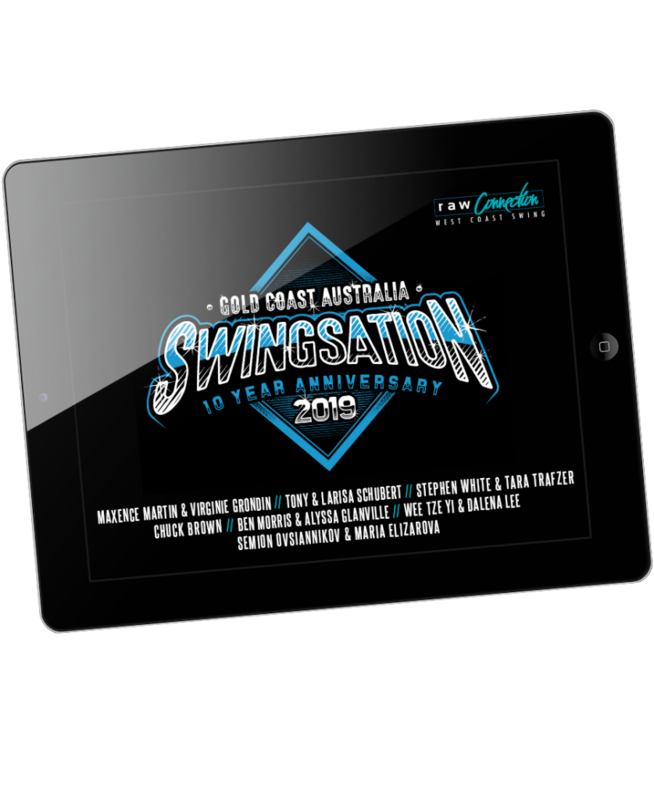 The Swingsation video download will be $30 if attending on a weekend pass and ordered at or before Swingsation. There’s a package deal too! 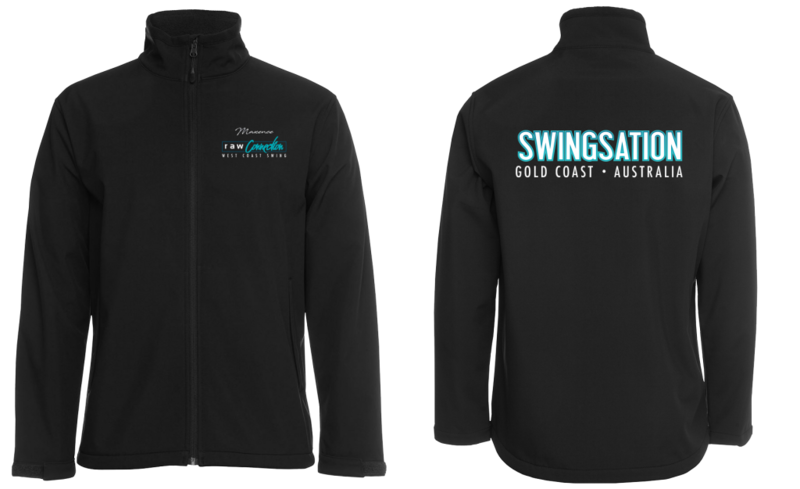 Get one Swingsation T-Shirt, Jacket and a digital video for just $110 ($30 discount). Packages must be ordered by 1st April 2019. Mens shirts are available in S,M,L,2XL. Womens shirts are available in sizes 8 through to size 16. Jackets are available in S,M,L,XL,2XL. 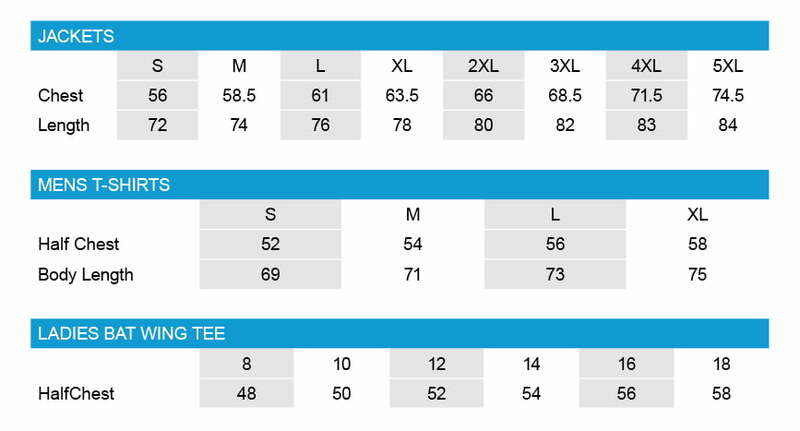 Click here for detailed sizing information. If you require a size that is not listed here, please contact Allan directly to order.